As per the latest official notification by UPSC, Elite IAS Academy presents you the latest information about IAS Exam Eligibility. Every UPSC exam aspirant must carefully go through the eligibility criteria. We have tried to put all the information about IAS Exam Eligibility in a systematic manner. The eligibility conditions fall under the following categories. It helps you to quickly grasp the details of IAS exam eligibility. A person originated from India who moved from Pakistan, Sri Lanka, Burma, East African countries of the Kenya, Uganda, United Republic of the Tanzania, Malawi, Zambia, Zaire, Vietnam, and Ethiopia and intends to permanently settle. However, the candidates belonging to 2,3, and 4 cannot take up the IFS exam. If a candidate is SC or ST, the upper age limit is relaxable up to five years. If a candidate belongs to OBC category, the upper age limit is relaxable up to three years. If the candidate is defence services personnel, the upper age limit is relaxable up to three years. If the candidate is ex-serviceman holding at least five years experience, the upper age limit is relaxable up to five years. If the candidate is ECO or SSCO holding five years initial period experience, the upper age limit is relaxable up to five years. But, Ministery of Defence must provide the certificate stating that they can apply for civil services. If the candidate is physically disabled, the upper age limit is relaxable up to ten years. The candidate must have a degree from the university. As per the IAS Exam eligibility, the universities should be incorporated by the Act of Central or State legislature in India. It can also be other educational institutions incorporated to be deemed as University or by the Act of Parliament. The candidate who is currently appearing or intend to appear for qualifying exams can also attend the IAS exam. However, a candidate must provide the proof of certification of required qualification before mains. Failing which, the candidate will not be allowed to take up the mains exam. He or she is exempted from IAS exam eligibility. Exceptionally, the candidate can submit the certifications from other institutions justified by the UPSC standards. Candidates might have the technical and professional qualification recognized by the Government. In turn, it should be equivalent to the standard technical and professional degree. Now, the candidate is said to have IAS exam eligibility. The candidates who clear the MBBS degree or any other medical degree without completing the internship can attend the IAS exam. In addition, he or she must provide the pass certificate from the concerned university. During the interview stage, the candidate should provide the final degree certificate. The candidate from the general category can attempt the IAS exam up to 6 times until 32 years. Nevertheless, consider the upper age limit as an important IAS exam eligibility. The candidate from the other backward category can attempt the IAS exam up to 9 times until 35 years. 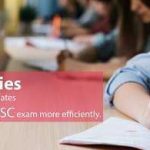 The candidate from the scheduled caste and scheduled tribe can attempt the IAS exam up to unlimited times until 37 years. The physically disabled candidates from the general category can attempt the IAS exam up to 9 times until 42 years. In fact, it is the special IAS exam eligibility criteria declared by UPSC. Whenever you attend the UPSC exam, the commission records your number of attempts. If you fill up the application form and fail to attend the exam, the attempt made is not counted. Sometimes, the candidate attends only one paper. Consequently, the UPSC considers it to be one attempt. Due to any disqualification or cancellation, the candidate might be held back. If the candidate appears in the exam hall, it will count as one attempt. The physical standards of UPSC demand every candidate to be physically fit. Apart from the age limits eligibility criteria mentioned above, the candidates might enjoy the cumulative age benefits. In other words, the exceptional candidates get the advantage of adding age limits. Assume a candidate is an ex-serviceman as well as SC. They can add the age limits of both the categories. 5 Years + 7 Years = 12 Years. The person will have a relaxable upper age limit of 42 years. Elite IAS recommends every IAS aspirant to clearly learn about IAS Exam eligibility criteria. We have given you the updated details. It is always better to get a reference from the latest UPSC notifications. Make sure you intend to accomplish all the IAS exam Eligibility conditions. Your admission to different stages of UPSC exam directly depends on the fulfillment of IAS exam eligibility. Once the candidate qualifies the IAS mains and interview, UPSC board look into the original documents. In the end, they verify the candidate’s IAS Exam eligibility. As a whole, the candidate can attend the exam without submitting a few certifications. But, the board provides the appointment only after the submission of certifications.